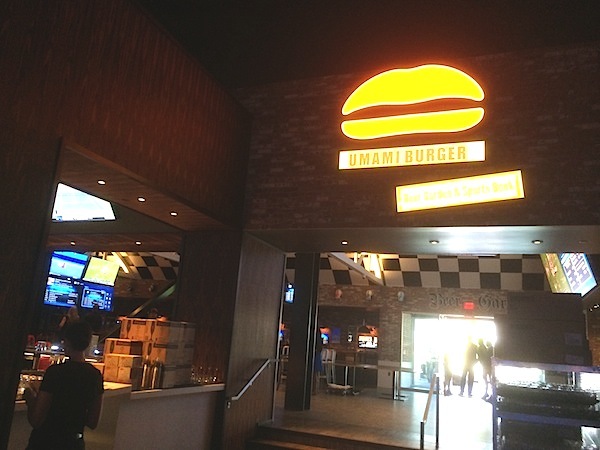 Yesterday when I shared my first impressions of SLS Las Vegas I mentioned the following. 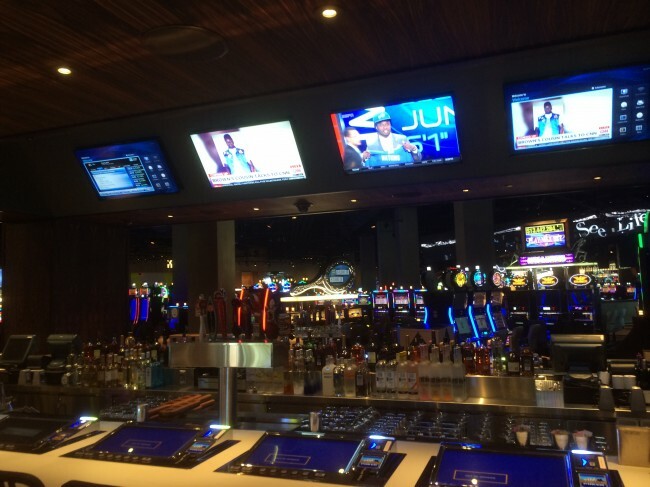 Since the casino is so tight (spatially) the mix of testosterone, booze and drugs seems like a toxic mix for disaster. I forgot that I took this picture in the men’s room on Friday. Maybe it was sitting in my subconscious. Clearly SLS Las Vegas is aware that the nightclubs will bring a certain element to the casino and is preparing for the worst case scenario. I’m going to guess that this sign is a signal that we won’t be seeing Johnny Football partying at LiFE or one of the other nightclubs. 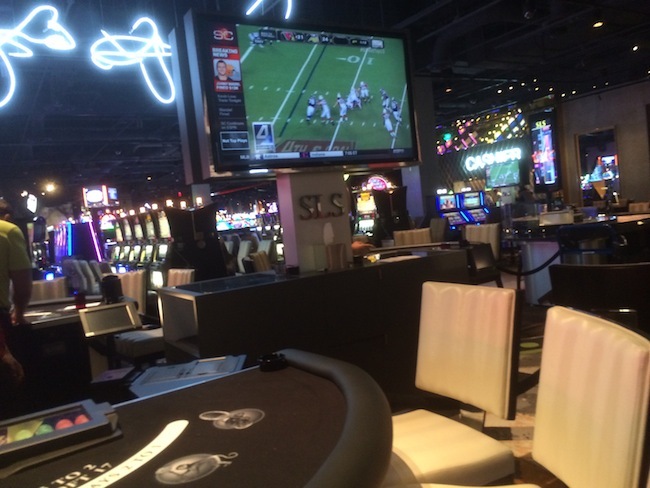 SLS Las Vegas is a highly stylized and designed property. The casino and hotel combine to have some of the most outrageous and intriguing carpeting that you’ll see anywhere in Las Vegas. Here are 5 samples of carpet you’ll find throughout the property. This is only a fraction of what you’ll find throughout )I have are a few more on Facebook). 1. 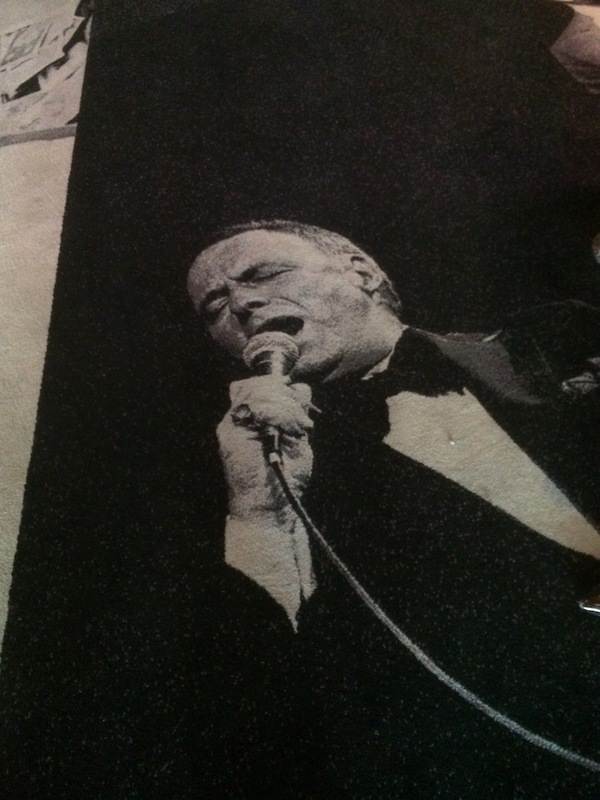 Frank Sinatra – You’ll find this when you enter the hotel from valet. This is awesome. 2. Welcome To Las Vegas Postcard – This is located towards the hotel rooms. 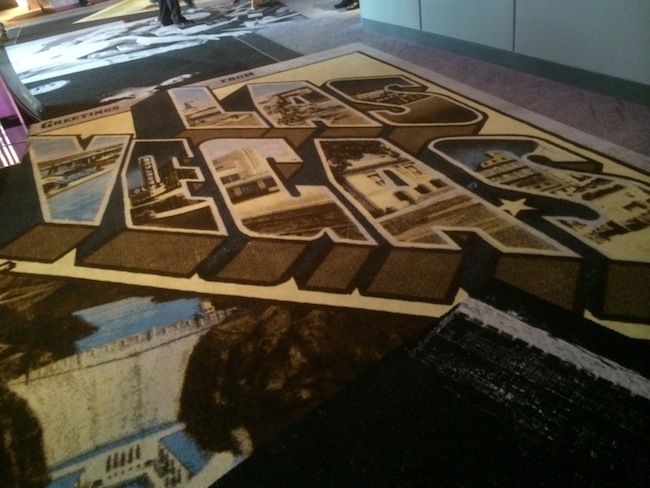 It’s pretty cool to see a vintage postcard as carpeting. 3. 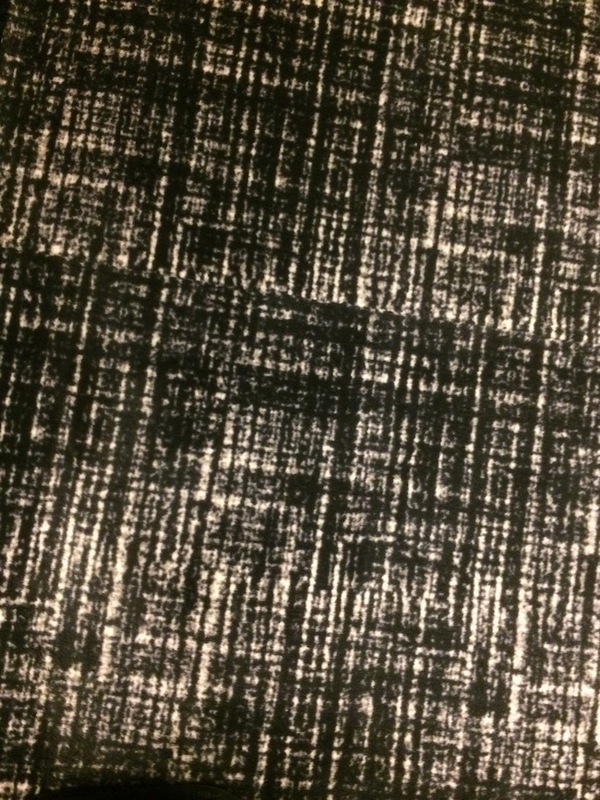 26th Floor – This is just general hotel hallway carpeting. It’s not what you’d normally see on the floor of a casino hotel.